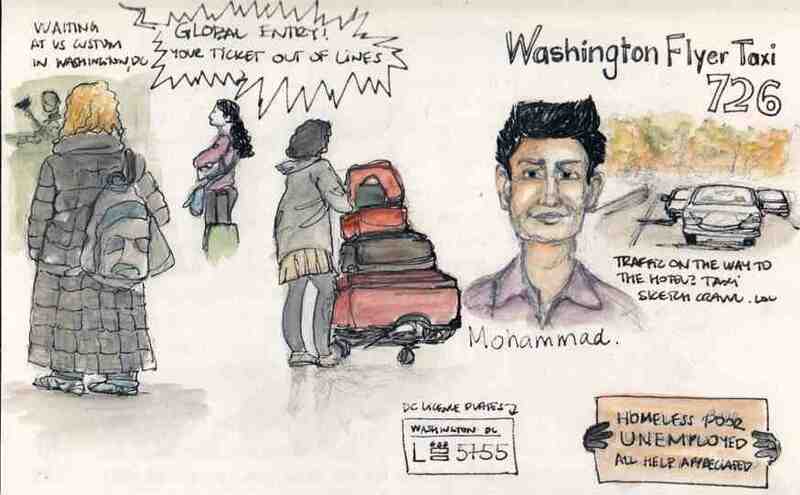 I had the opportunity to visit Washington DC, for the first time last week and brought my sketchbook and sketching tools along for the trip. We had an early flight with Porter (one of my favourite airlines), so while we were waiting in the lobby, I started sketching one of the planes waiting to be boarded. 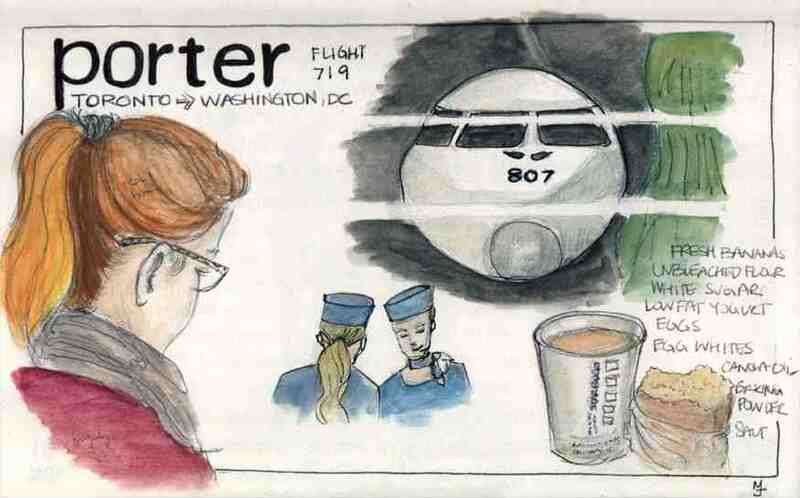 Soon after, we boarded our the plane, I did a quick sketch of one of the passengers on her laptop. A lot of the passengers on our flight were going to a convention. I also sketched our flight attendants. I really like their uniforms, they always look sharp. We were offered a choice of a light complementary breakfast snacks since our trip was only about one hour long. I opted for the Starbuck coffee and the delicious banana bread made with all natural ingredients. Great way to start the trip. Once we arrived at the airport, we had to wait in line a little to get thought custom, but it didn't take too much time especially for people with Canadian passports. While waiting, I did a quick sketch of some of the other people waiting in line and then we were off to a one-hour taxi drive to our hotel. There was quite a bit of traffic so I sketched what I could see from the back of the taxi cab. It was quite something to see the elaborate setups of some of the homeless people outside of DC.